Semi-formal dresses or attire is considered to be paragon of elegance for any person on a semi-formal event. Every person seeks to look for designers, visit many boutiques to choose the best dress that truly reflects the personality and some people go for designing their own dresses that makes the end product and look beautiful and ravishing. Everybody wants to get the real praise whenever he or she goes to an event or a party. .
More fancy than folksy, semi-formal dresses or attire is a broad term that is elegant and not yet extravagant. To feel a sense of freedom, one must have confidence. Today, our people are confident and their decisions are not affected by anything. They are going forward and ready to embrace a change and trends to have a versatile look on her every event. And the semi-formal dresses that Dezynish offers, encapsulate the spirit of thought. Dezynish comes with a huge variety of semi-formal dresses that can surely meet your needs and requirements. Beautiful and utterly elegant work and details make it a triumph to dresses on an event or a party. Having a flawless fabric with magnificent work on it make the dresses have a distinctive and captivating appeal. Taking cues from the cultural heritage and marrying them to the contemporary needs; Dezynish offers the best and is redefining the semi-formal dresses and taking it to the next level. Dezynish offers fusion of beautiful traditional designs with modern contemporary and sleek styles that cannot be compared. They offer dresses that give you confidence and satisfaction of looking like a beautiful and ravishing person on an event. 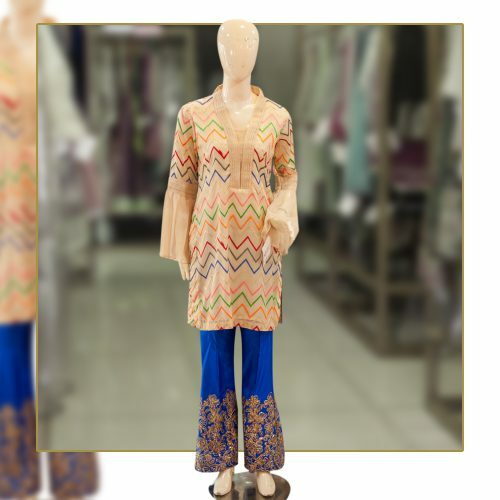 Dezynish offers extremely classy and beautiful semi-formal dresses collection that can surely fill your desire of looking ravishing and will definitely dish out compliments from the people there.